It’s almost time for Fairhope’s Annual Lighting of the Trees Ceremony. 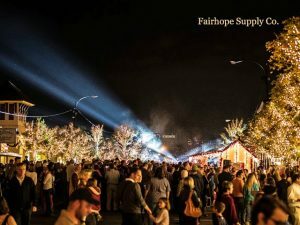 Every year the week before Thanksgiving the City of Fairhope holds a tree lighting ceremony to kick off the Holiday Season. The Streets are closed and the stores are open while bands play, choirs sing, kids visit with Mr. and Mrs Claus and many other activities. 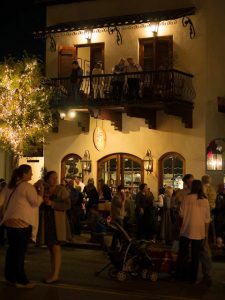 Store merchants, local residents, and people from all over come to join in on the holiday spirit. At 6:00pm sharp the countdown starts to the lighting of over 1 million lights. The beautiful lighted trees line the streets of downtown Fairhope until after Mardi Gras. This years ceremony will be November 17th and the activities will begin at 5:30pm. We hope to see you there!